Notice the grid that you can push and pull to shape individual parts of the face. 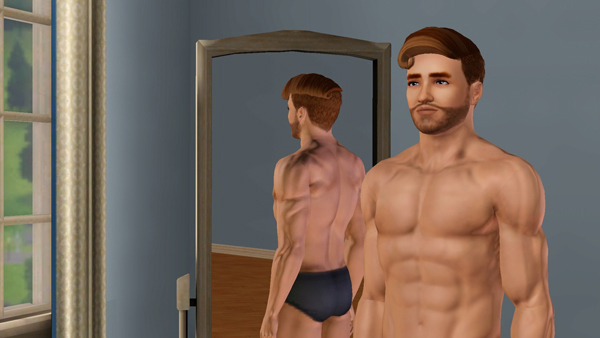 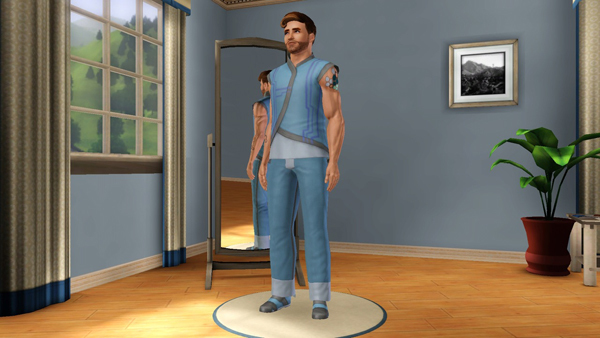 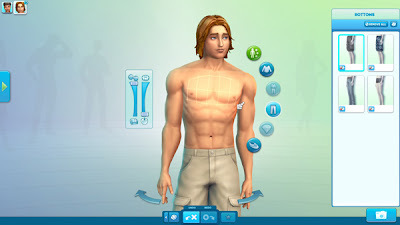 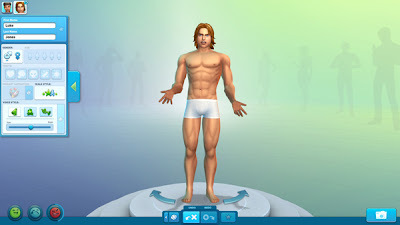 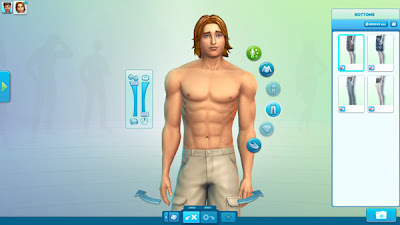 Create A Sim body manipulation, now with grid over the chest which can be sculpted however you want. Notice the body definition and fitness sliders on the left and clothing options on the right. The little boxes in the lower left of each of the clothing options are swatches to change the look of that particular item. Even the backside can be molded to the exact shape you want. 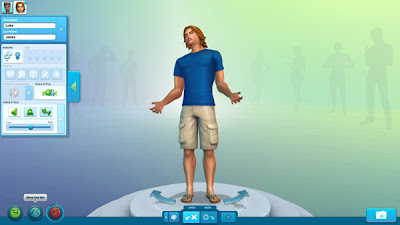 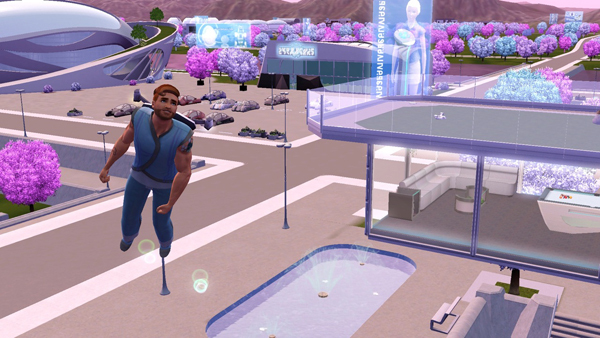 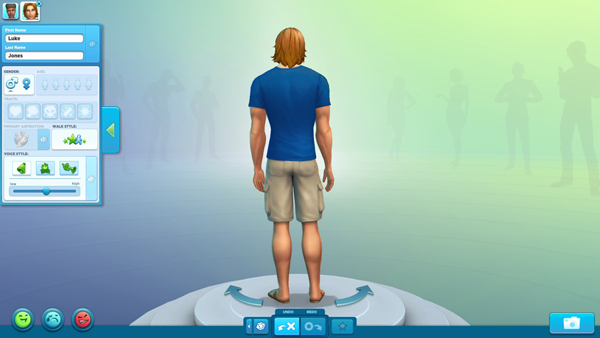 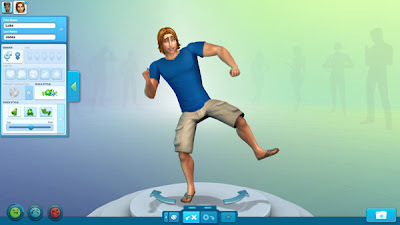 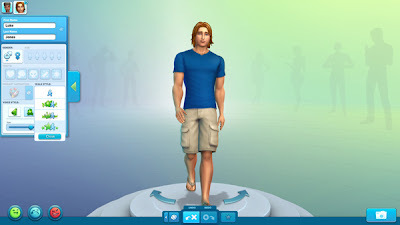 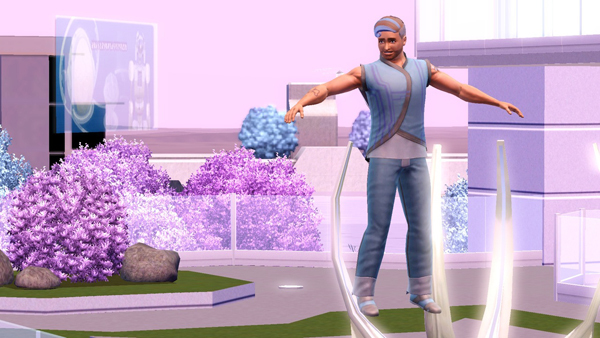 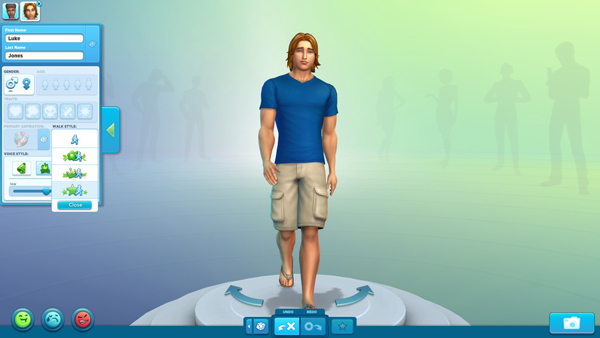 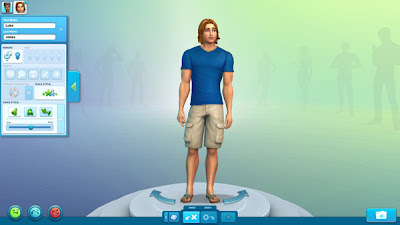 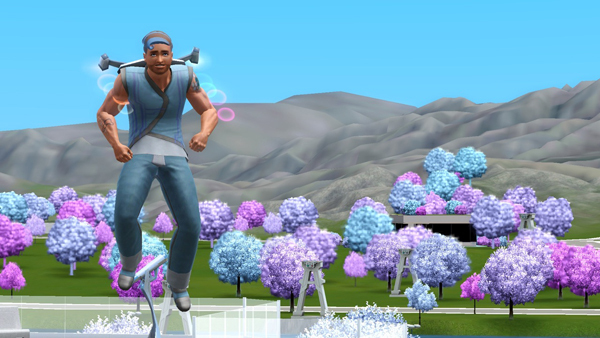 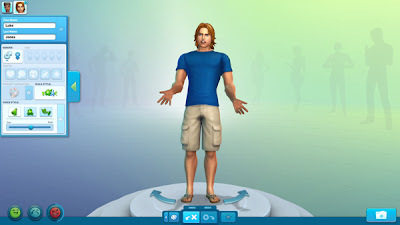 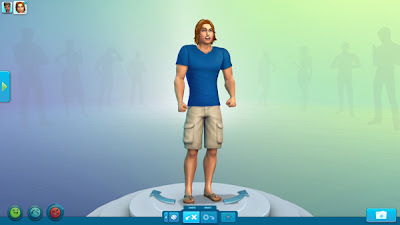 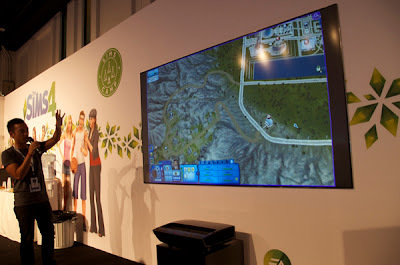 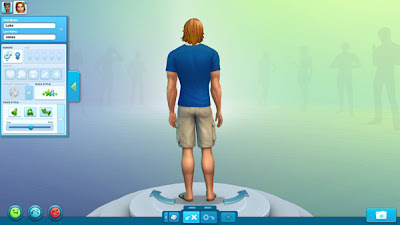 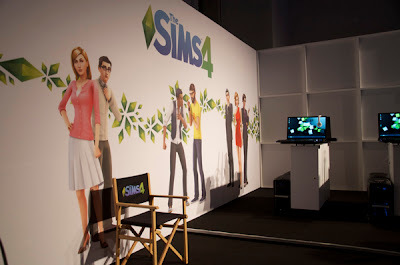 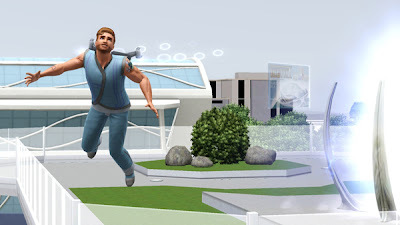 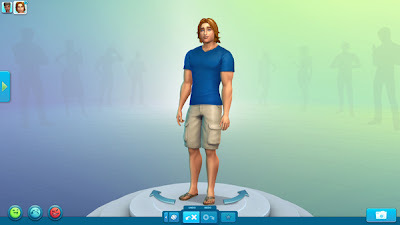 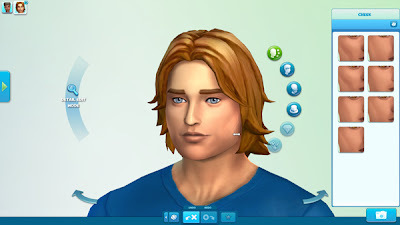 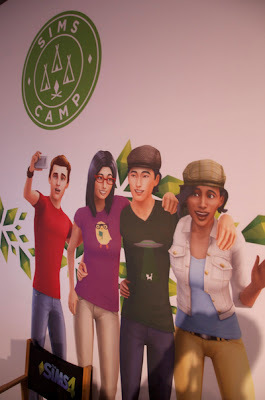 You can even choose a walking style for your sim. 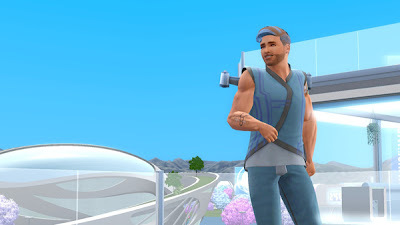 This is the snooty walk. 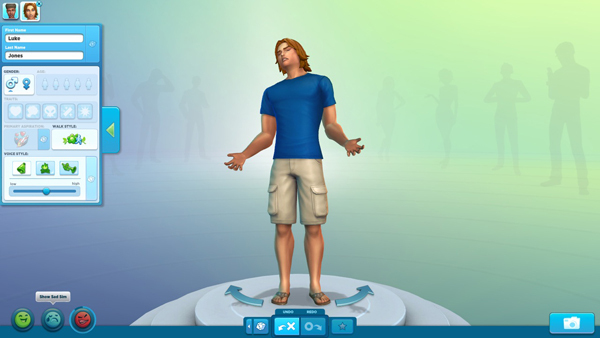 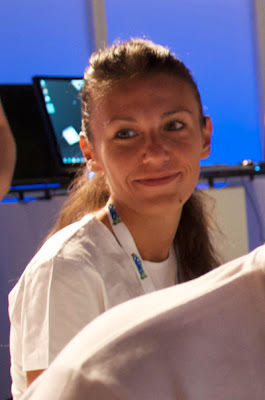 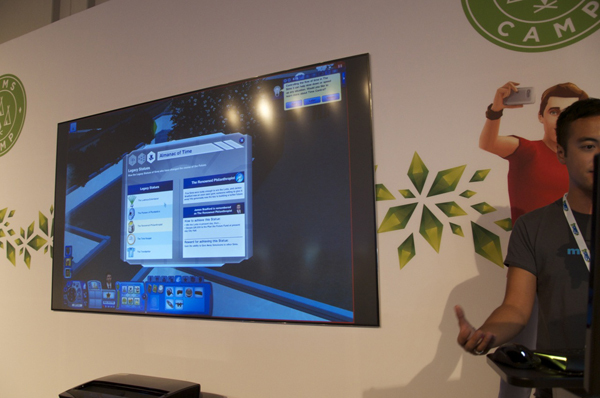 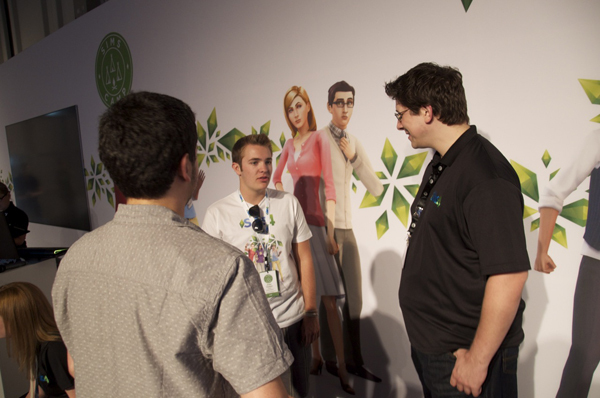 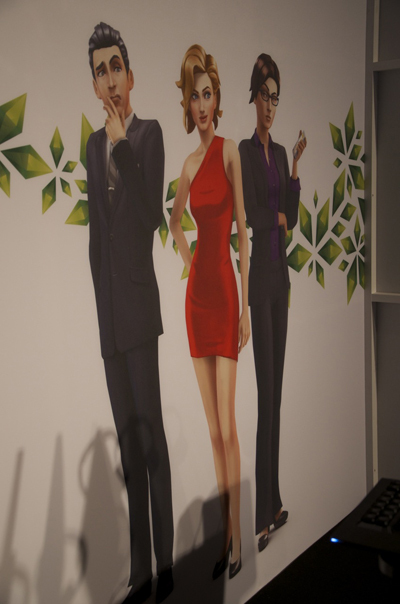 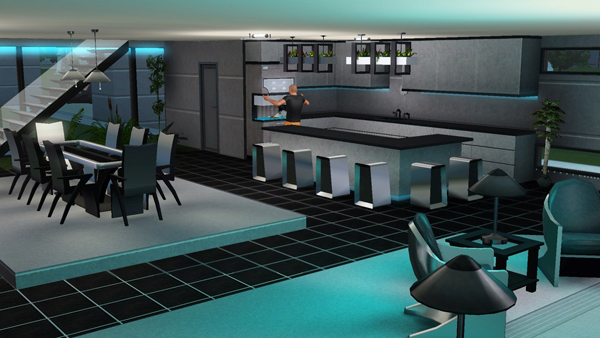 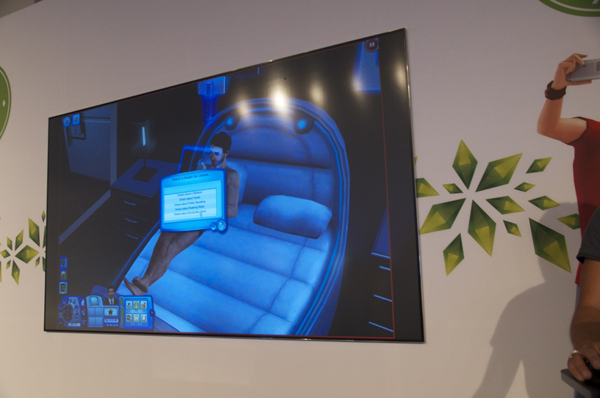 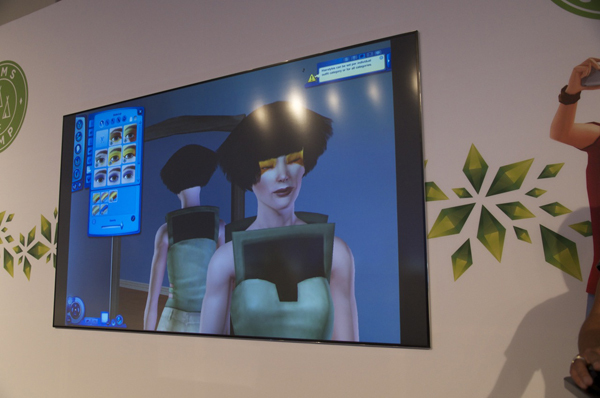 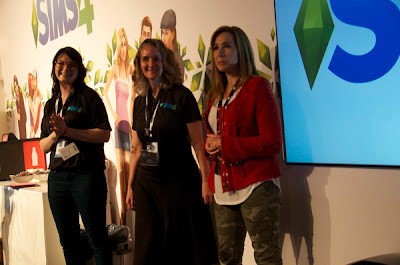 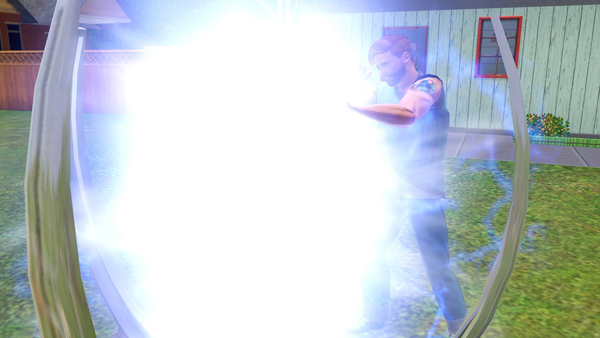 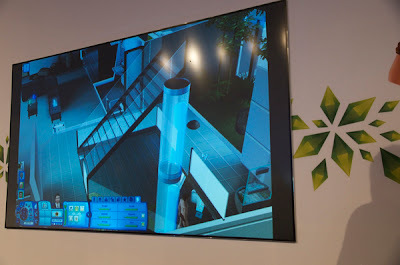 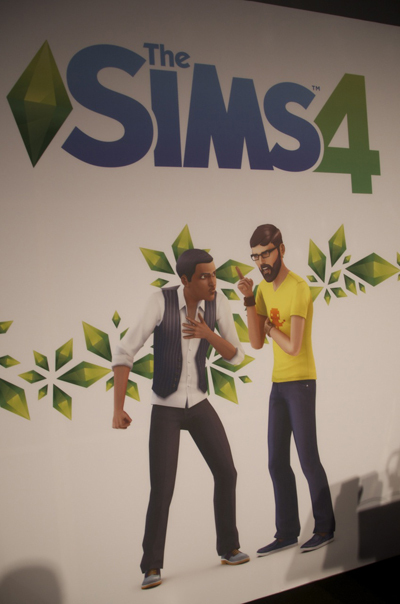 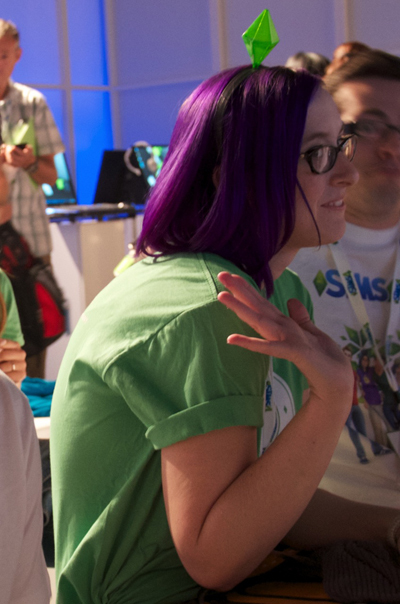 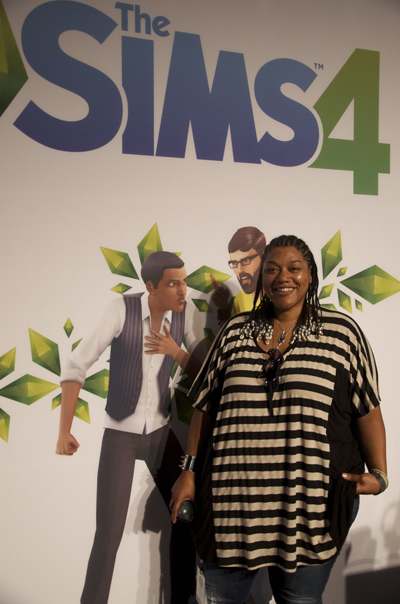 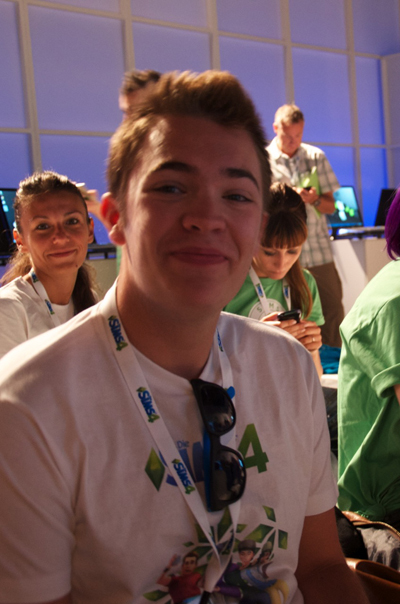 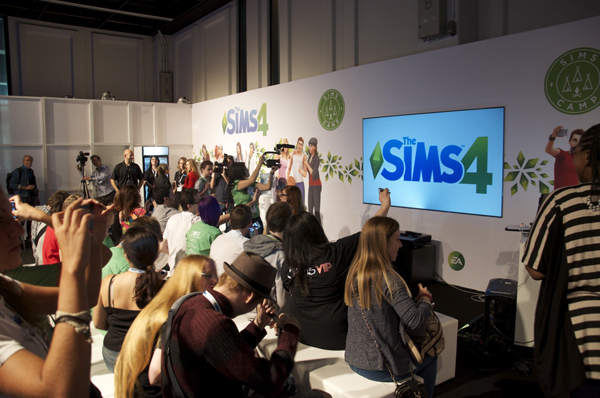 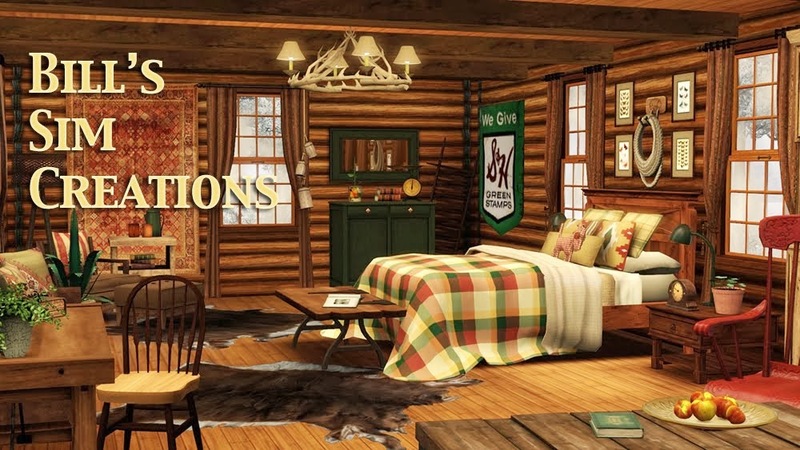 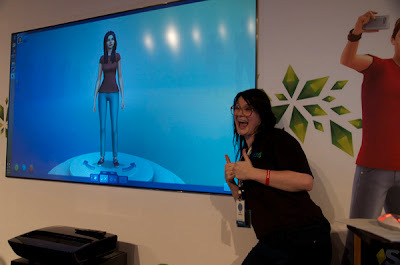 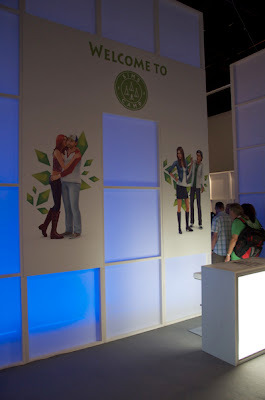 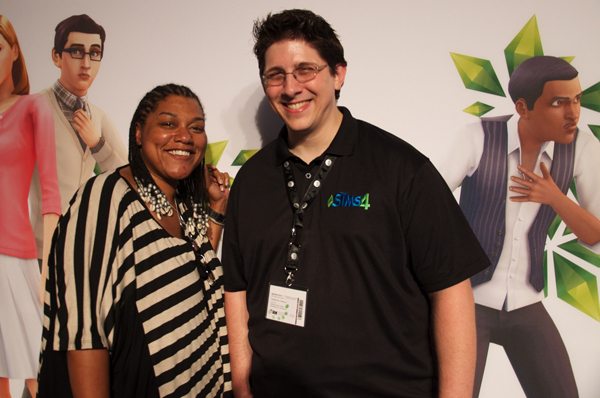 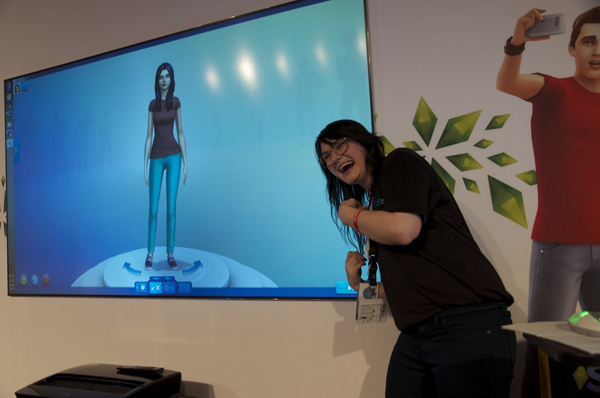 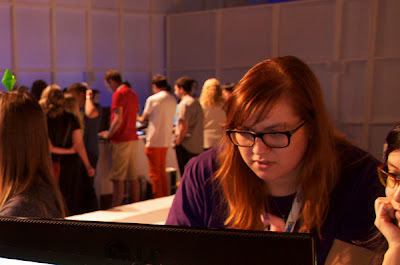 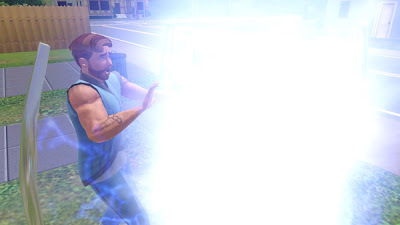 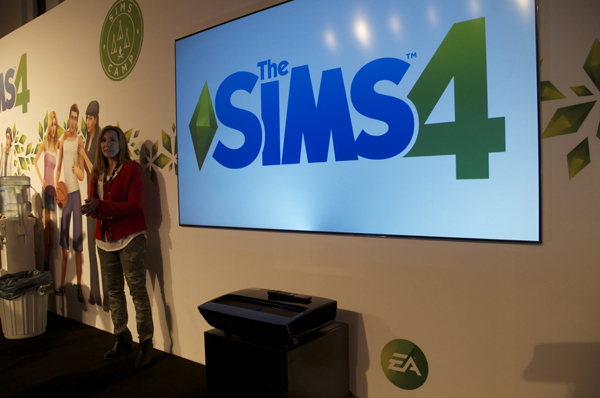 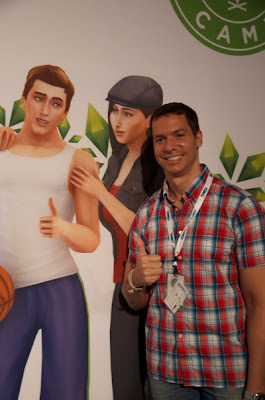 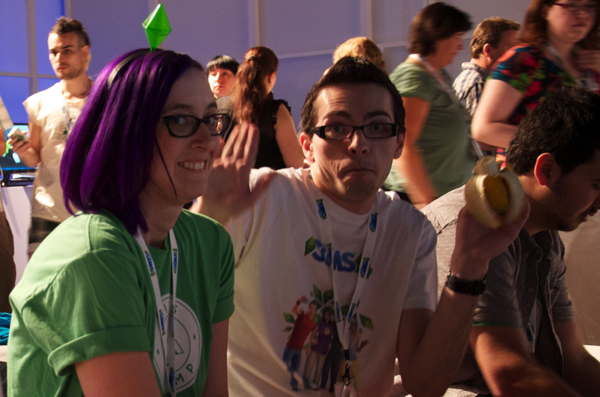 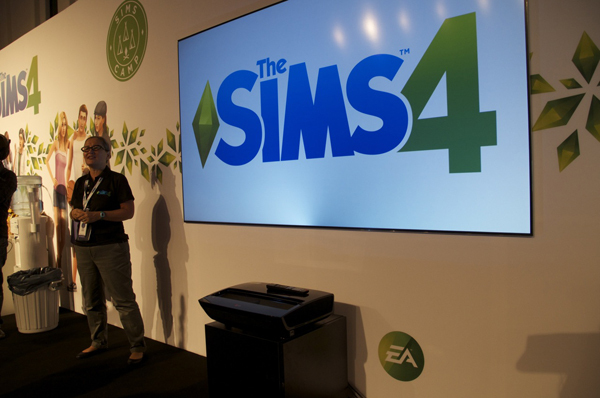 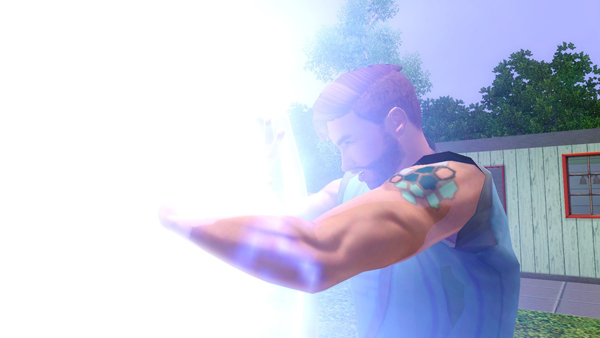 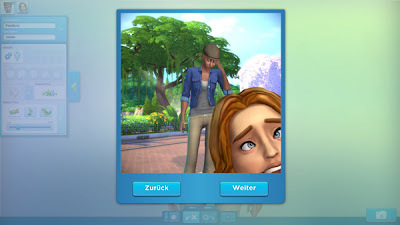 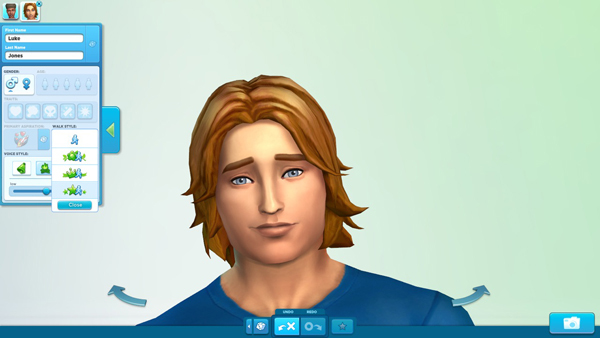 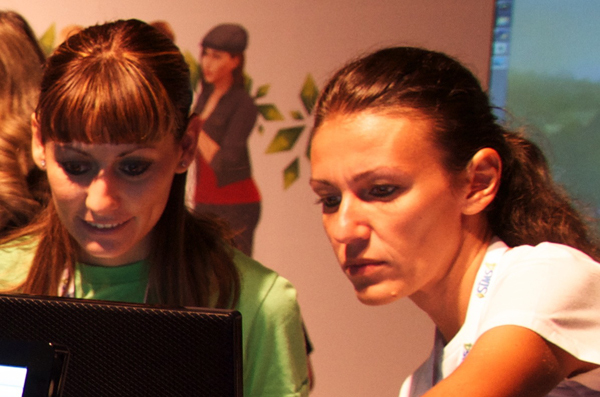 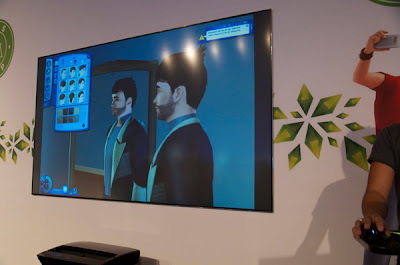 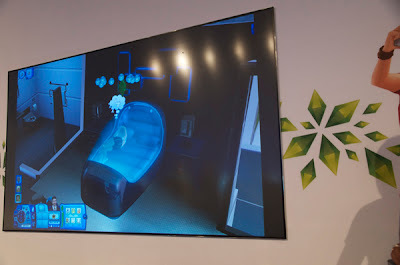 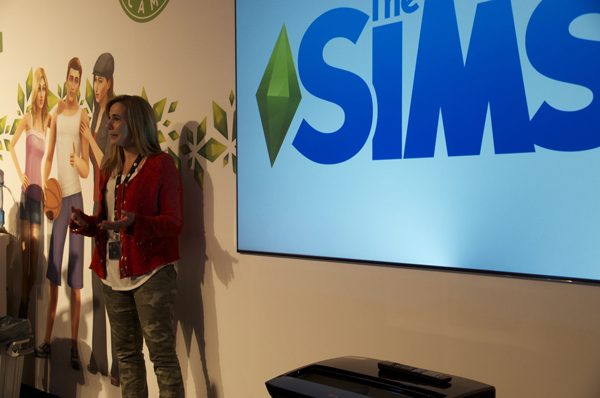 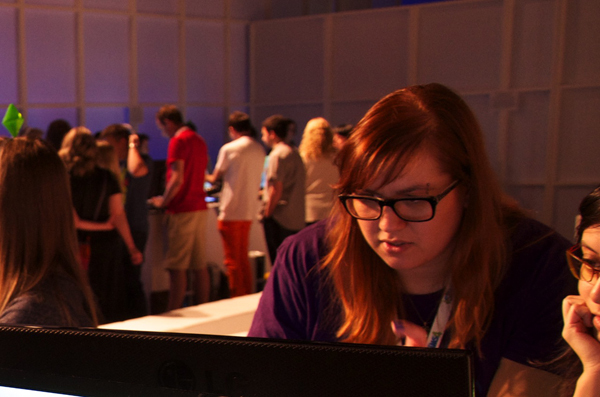 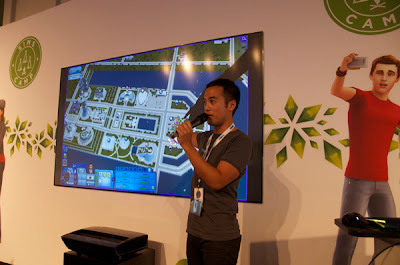 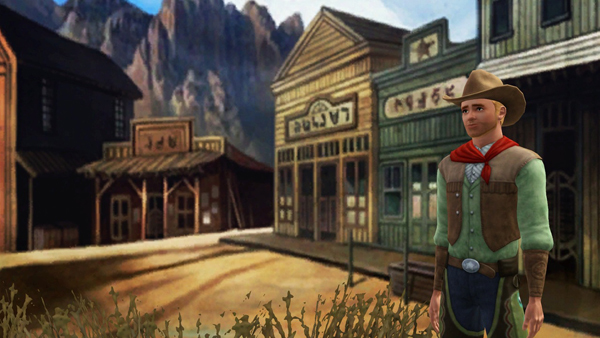 Emotions are the centerpiece of the Sims 4. Here is my Sim happy. King Choi discussing the Almanac of Time where you can change the course of history. 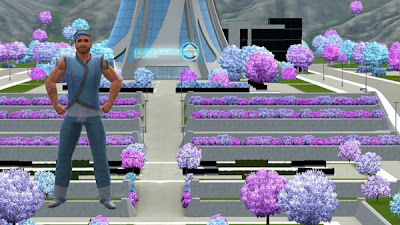 Cool new futuristic hairstyles, makeup, and outfits remind me of Capitol couture from the Hunger Games. Into the Future projection systems showing beautiful scenery on the walls. Some of my in-game screenshots for Into the Future. This is the hairstyle I used. My new futuristic outfit and tattoos. 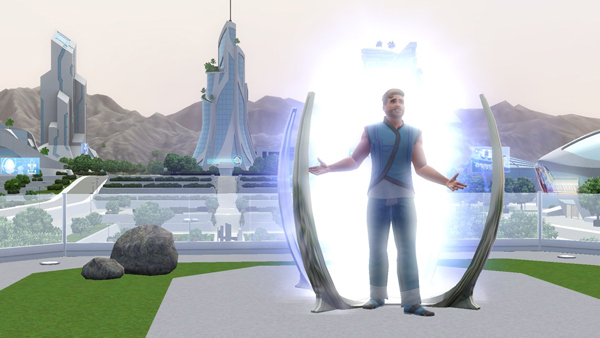 Found a time portal on my lot! Practicing using the jetpack in Oasis Landing. 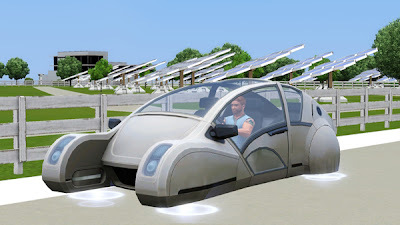 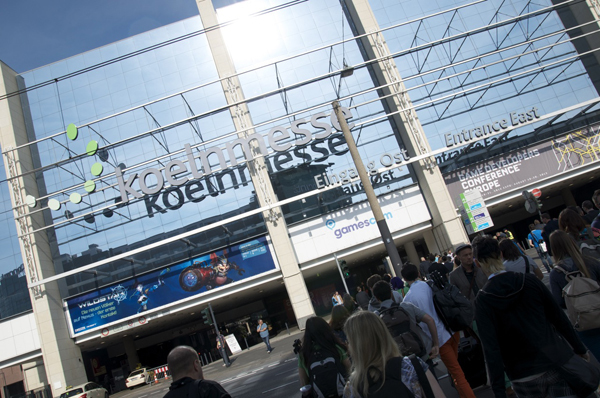 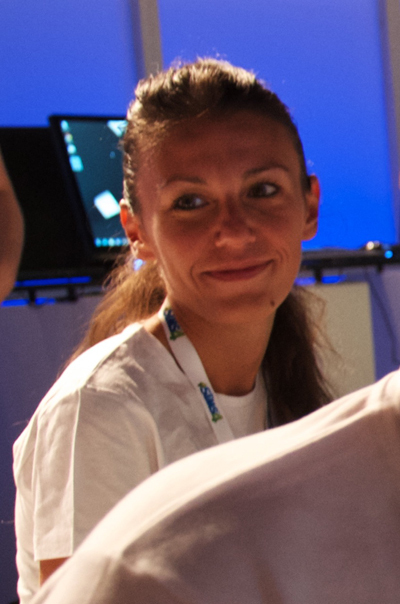 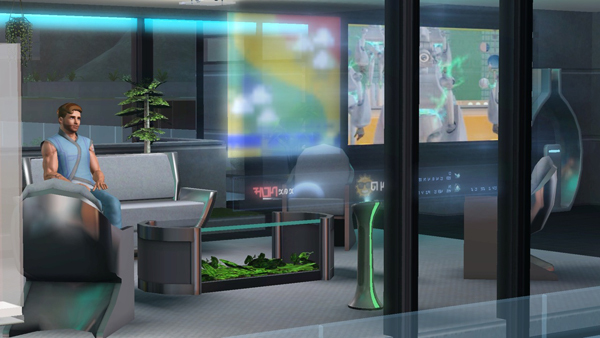 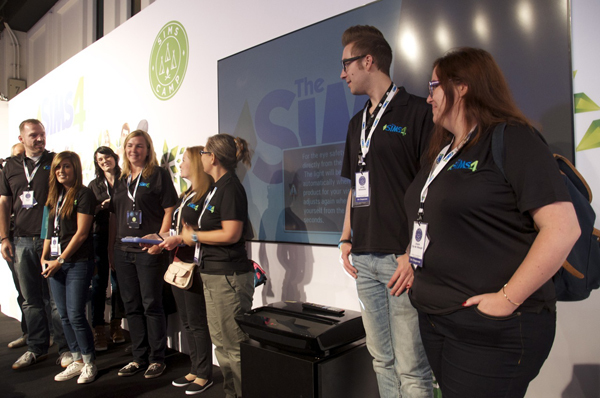 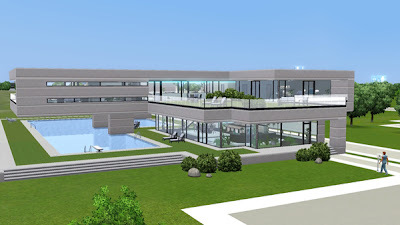 Advanced technology and objects can be used in any world, but the skills increase more efficiently in the future. 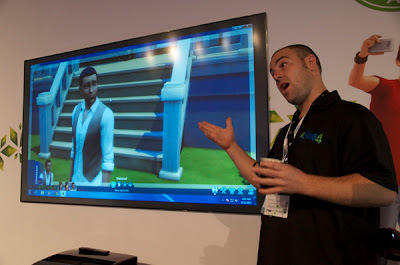 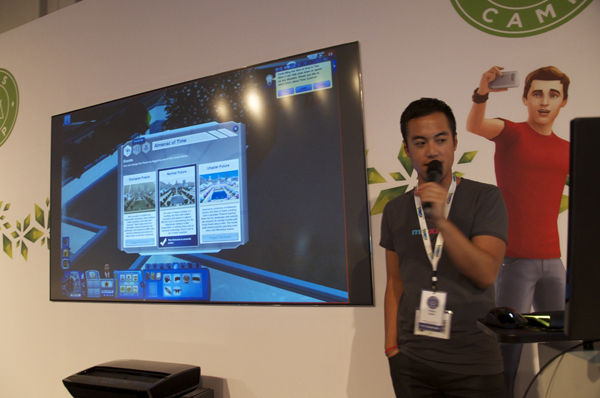 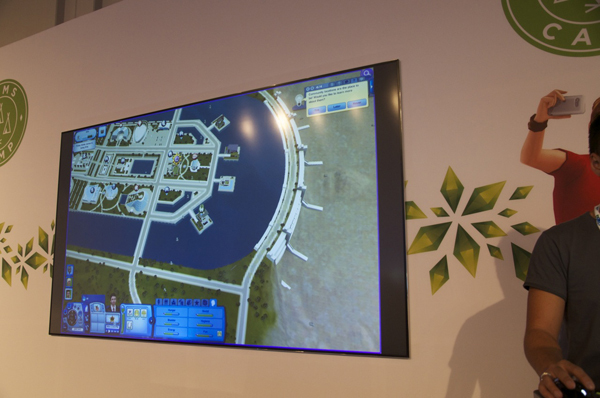 Love the holographic billboards in the background. And notice grass on the roof! 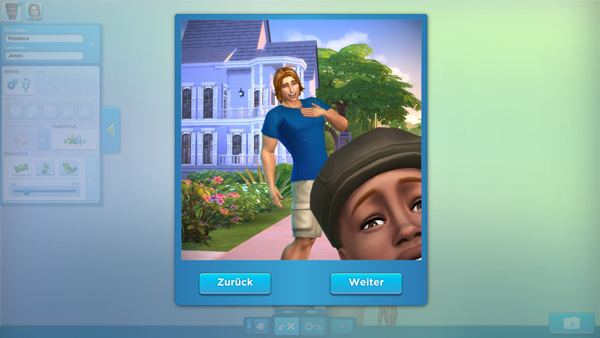 More grass on the roof. 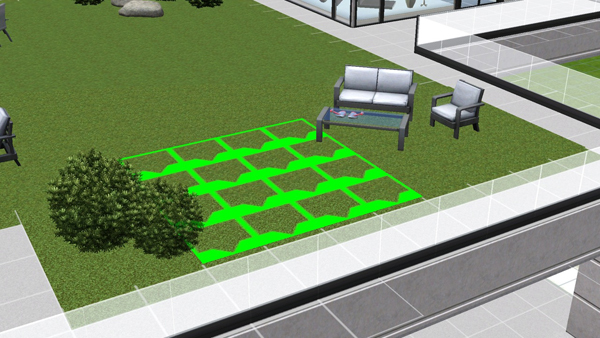 It appears to be like rugs, so I'm not sure if you can terraform on roofs. 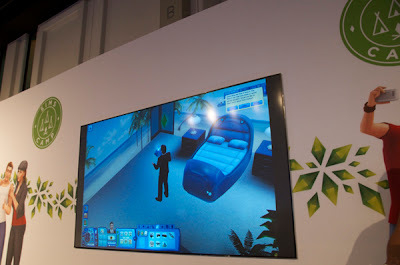 Laying on the dream sleeper and making a selection from the different dream options. 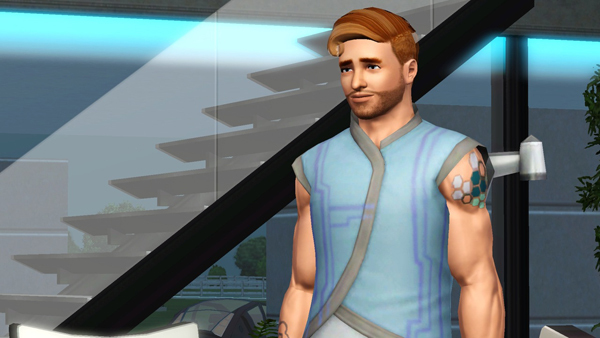 Didn't plan my sleepwear outfit so well, so my hair disappeared! 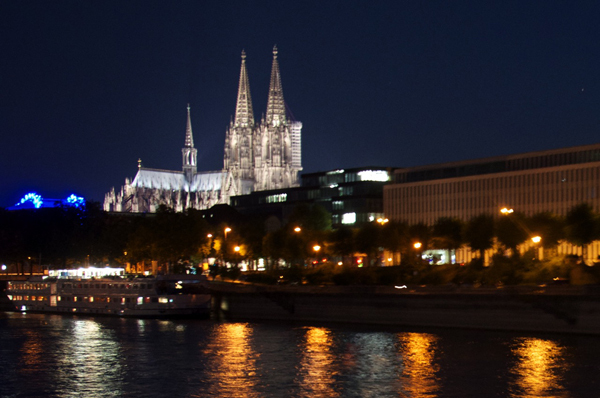 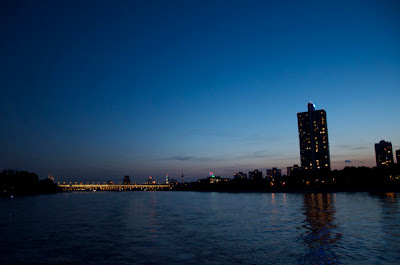 The city looks stunning at night! 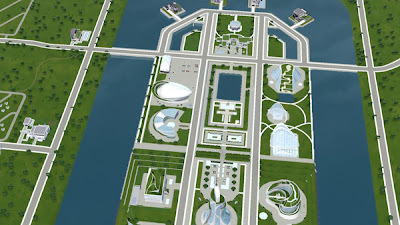 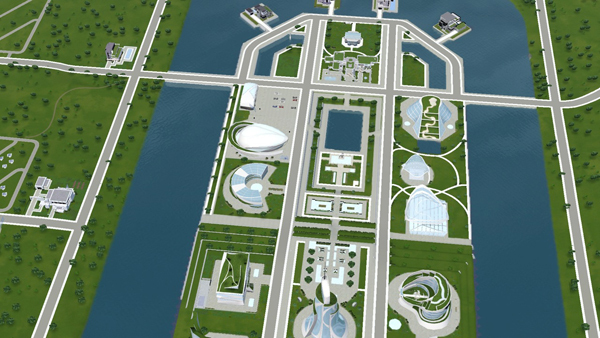 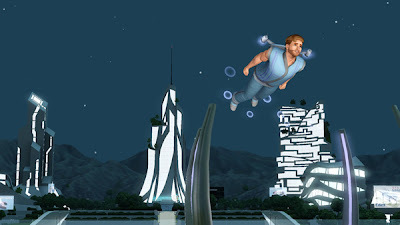 After returning to the present day Sunset Valley, I completed some missions that changed the future to a utopian civilization. 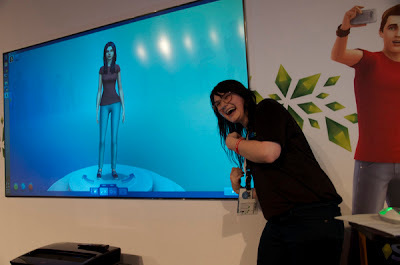 This is me back in the future now prancing around as happy as I can be. Notice how the flora has changed. You can also take on missions to create a dystopian future. 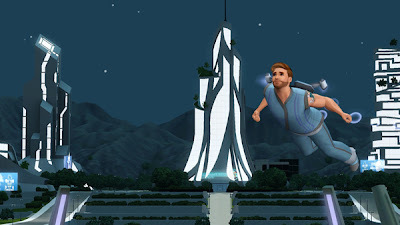 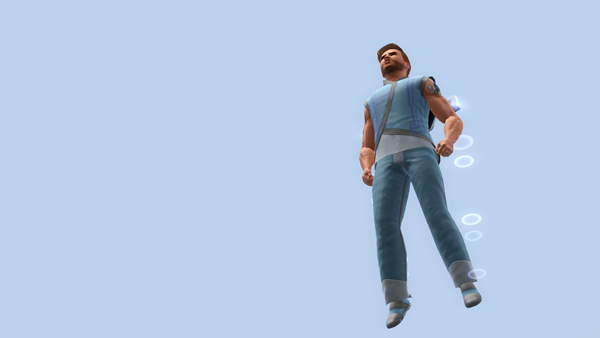 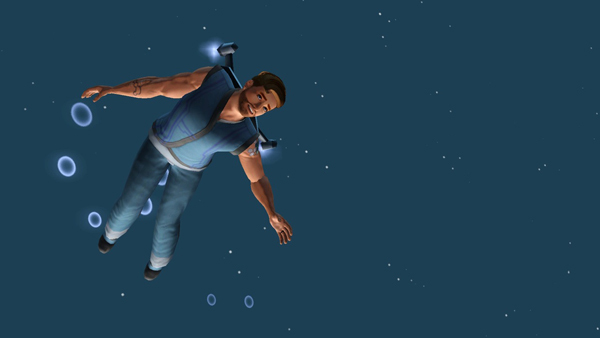 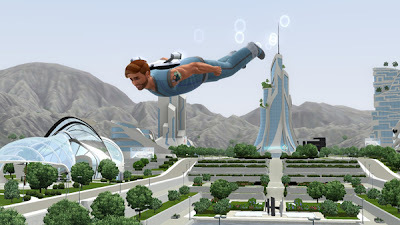 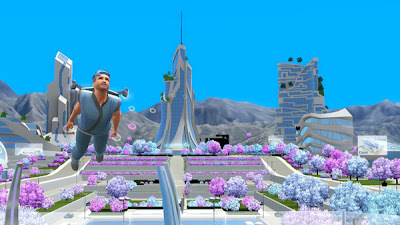 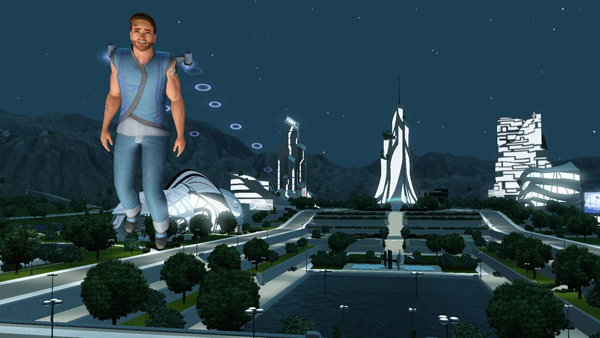 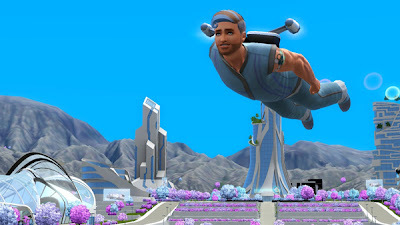 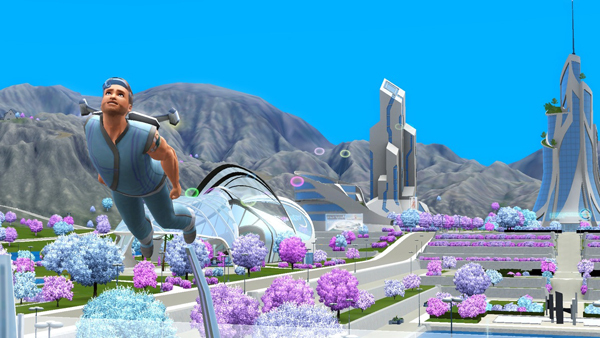 Flying around with my jetpack in utopian Oasis Landing. Much more skilled now and can do a variety of tricks and acrobatics in the air. 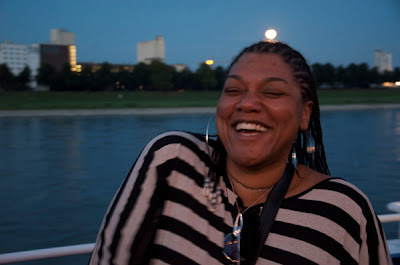 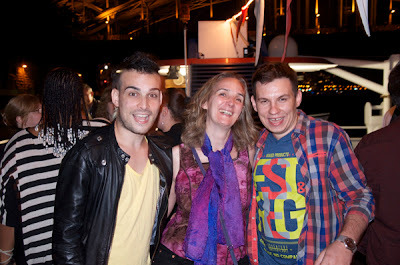 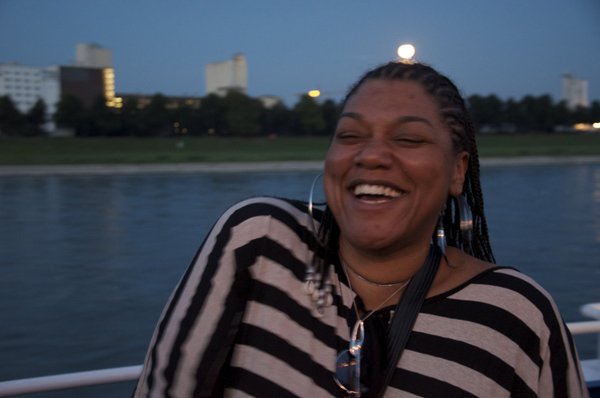 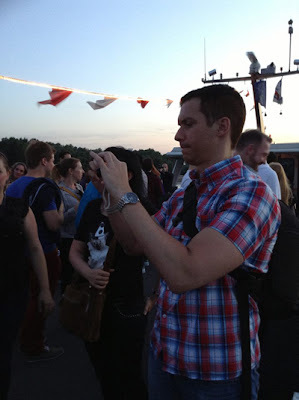 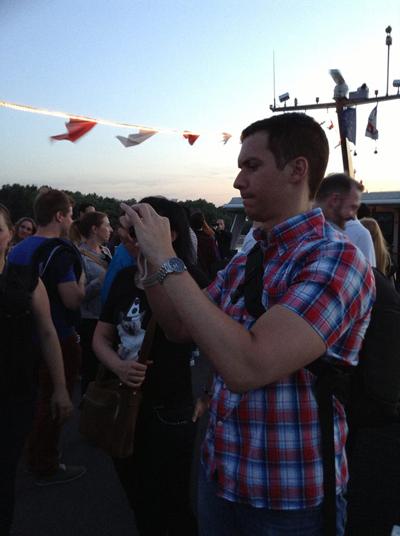 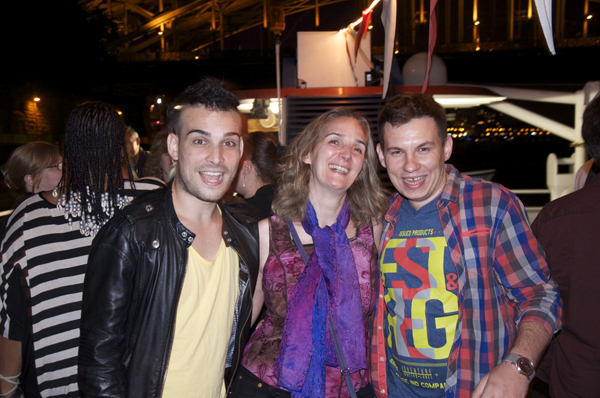 That night, we were treated to a dinner cruise with beautiful views of the city as the sun set, great food (and drinks), and fun times hanging out with the EA staff.